Contact lens firm CIBA Vision is to up investment in a Malaysian plant to increase its capacity, it has been reported. The site in the Port of Tanjung Pelepas Free Trade Zone in Johor is where CIBA"s 020PTIX and AIR OPTIX breathable, silicone hydrogel contact lenses are manufactured. According to Malaysian publication the Star Online, the company intends to bring in new technology and machinery and is still considering how much funding to give to the investment. Soon Chee Meng, Asian supply chain general manager, said the new investment will "definitely" go ahead. The increase will be carried out over a two-year period. 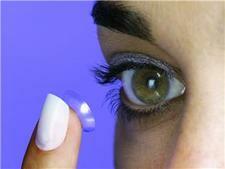 CIBA Vision"s products also include coloured contact lenses, which can be worn for cosmetic purposes. It also makes AOSEPT PLUS, a one-bottle contact lens solution. Novartis, its parent company, has its headquarters in Basel, Switzerland. Its workforce is 80,000-strong and spans more than 40 countries across the world.